First Year International Hospitality Management students put their learning into a practical environment as they cooked and served two dinners for invited guests, family and friends at UCLan's Scholars Restaurant. Over the past year they learned practical cookery and serving skills alongside academic theory, each week practising a different element of a three-course meal culminating in the two events. Head Chef Noel Emms and Module Tutor Jackie Cunningham supervised proceedings, encouraging and motivating the students in the kitchen and front-of-house. Food Safety Lecturer Jillian Webster was also on hand to make sure things ran smoothly. Guests from a variety of placement providers and organisations connected to UCLan were invited as a thank you for their support including The Villa Group and Chef Jobs UK, whilst staff from across the university were also in attendance. David Grime, UCLan's Catering Services Manager, commented: "I thought the whole thing was fantastic from start to finish. The front-of-house students were very professional and smart, demonstrating great customer service and looking after all the customers. 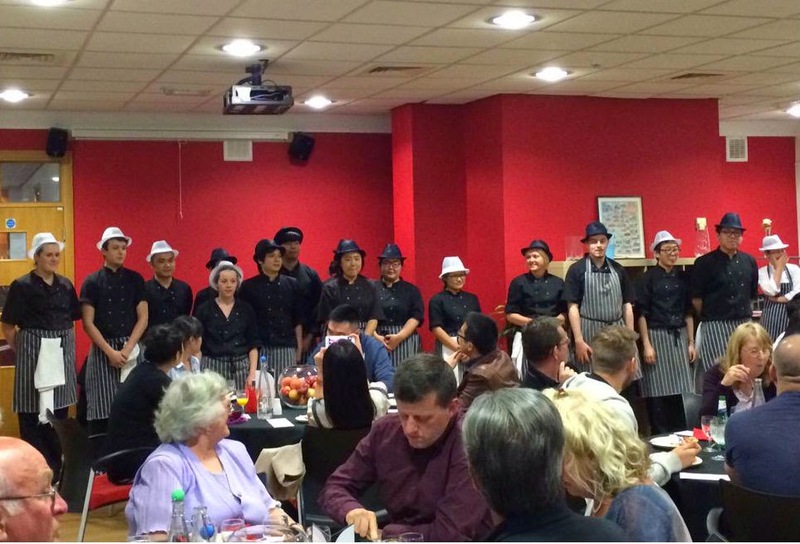 "The students were a real credit to the UCLan Hospitality Management programme. I'm fully aware of the pressures of these types of events and how it can soon turn from a student led event with staff support, to a lecturer led event with student support. The students had full control and that’s the way it should be." Lecturer Dot Ujma added: "It's really good to see students so engaged in practical activities outside of the classroom. They look different and seem different to what I'm used to during day-to-day workshops – more mature, creative, caring and professional. "Some were clearly in their element, whilst others more nervous as serving your parents must be tough, but I noticed how everyone rallied around to support each other and create a real team ethos. "I'd like to pass on my sincere thanks to Event Coordinators Rod and Lynn Train. They put a lot of hard work into this module and their help in engaging with industry is invaluable to our programme."